Ever since I read a blog review on this brand new Marc Jacobs fragrance I couldn't wait to get it. I've been a long time lover of Marc Jacobs perfumes. I've got Honey and Dot and I couldn't wait to add another to my collection! One thing I really love about Marc Jacobs perfumes is the packaging. You really can't fault it! I've got the smallest version of this perfume which is the 30ml available from here! I really like the smell of this fragrance. It feels a bit more sophisticated than the original daisy perfume. It's still floral, but feels a bit more grown up. It has a hint of jasmine, blue wisteria, pear and coconut water. 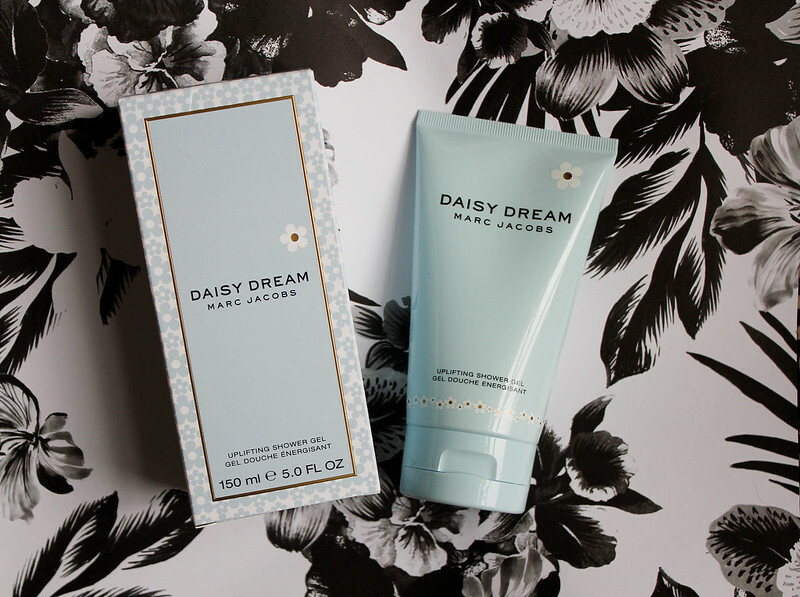 If you're a daisy fan you're definitely going to love this fragrance! I was lucky enough to receive the shower gel version of the fragrance. I've not actually used this yet as i'm currently using up another fragrance shower gel but I've smelt it and it smells absolutely amazing! This is definitely a more grown up fragrance from Marc Jacobs. It feels more wearable than the original Daisy (which I nearly bought but ended up with Honey!) and I can't wait to wear this fragrance a lot more! 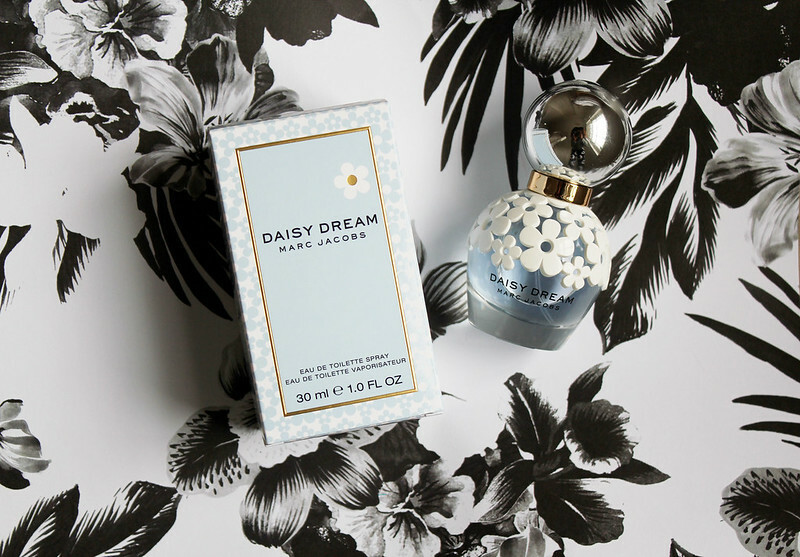 What do you think of Daisy Dream? Do you have any Marc Jacobs Fragrances? I love the original Daisy and so many of the women in my family wear it too. I've loved this one when I've smelled it too, so I think I'll purchase it when I need a new perfume. this is such a beautiful scent! Sounds great! Always love the daisy perfumes! This is my absolutely favourite perfume - so dreamy!! 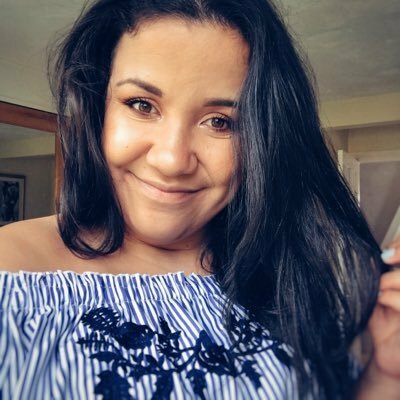 Been reading your blog for a while now and it really inspired me and friend to start one up for ourselves! Would mean the world to us if you could maybe give us some advice and tips on how to get it up and running? Created our first post here!